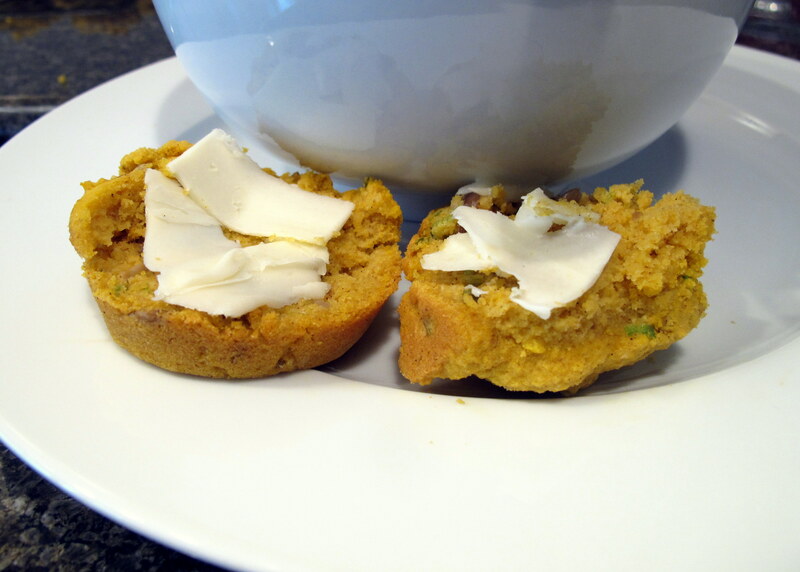 I whipped up these little beauties after being inspired by the super-soft and fluffy zucchini quinoa muffins I made from Patsy Catsos’ cookbook, Flavour Without FODMAPs Cookbook – Love the Foods that Love You Back and before going on a road trip from Seattle to San Francisco and back. If you’ve read the “My FM Journey” page, you will know that I was diagnosed with FM back in 2006, so I’ve had 8 years to perfect my methods of travelling on a fructose friendly diet. Granted, I can now have some onion and garlic, which makes life a lot easier than it used to be but you can travel while eating low your version of the low FODMAP diet – it just takes a little bit of extra planning. These muffins lasted a week in an airtight container within an Eski (cooler) and remained fluffy the entire time. If I’d had some, I would have added in Feta cheese to give the flavour a bit of bite but they are still delicious without it and sometimes I wonder whether good Feta isn’t too expensive to waste in muffins and Parmesan cheese would also do. 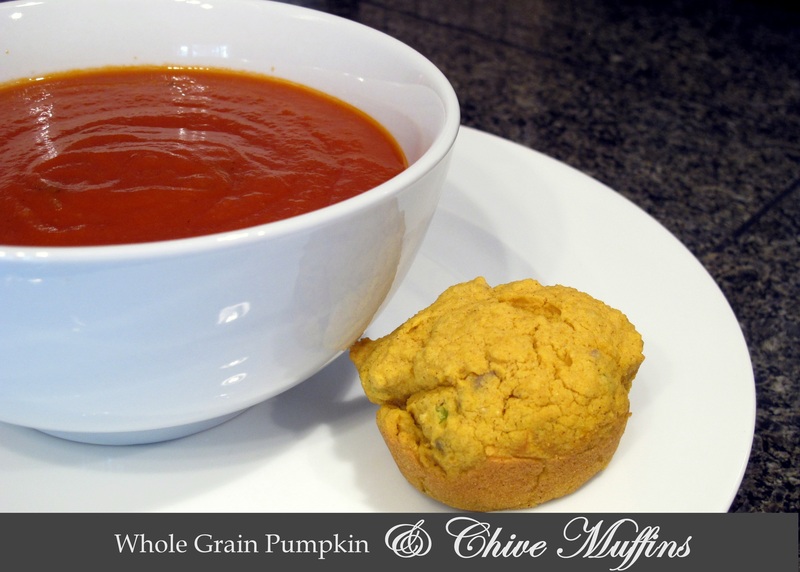 Either way, these muffins are a delicious savoury treat, perfect for a snack or to serve with soup. Pumpkin is a tricky one. What we call pumpkin in Australia, Americans call squash. This difference in naming can make figuring out low FODMAP varieties even more difficult than it already is. Jap pumpkins (squash) are low FODMAP, as are the American pumpkins (that we don’t get in Australia). Brown rice is a whole grain, quinoa is a seed – they are very close in performance, baking-wise and I often sub one flour in for the other without issue. Thus, if you either don’t have or can’t tolerate one of them, the other works just as well. Almonds are low FODMAP in servings of 10 nuts – there is only 1/4 cup spread out over 12 muffins, so this will fall well under that. Buckwheat flour is reportedly a good substitute for almond meal, if you can’t tolerate almonds at all. Pepitas (pumpkin seeds) are low FODMAP, however as seeds are high in fibre, some cannot tolerate them regardless. Leave them out if you think you’re one of them, or swap them for another seed, such as sunflower seeds, flax seeds (linseed), chia seeds etc. The green parts of chives are low FODMAP. Optional flavour variations, to mix in at the end – 1/3 cup Feta cheese, crumbled; 1/4 cup sun-dried tomatoes, minced (if tolerated); 2 jalapenos, seeded and finely sliced. Peel, dice and bake pumpkin at 180 C/350 F for 30 minutes, or until completely cooked, then puree it with your immersion blender or similar. If pumpkins are out of season, tinned puree will also do. Leave the oven at 180 C after the pumpkin has cooked. Meanwhile, combine the flours, pepitas, baking powder, salt and spices in a bowl and set aside. 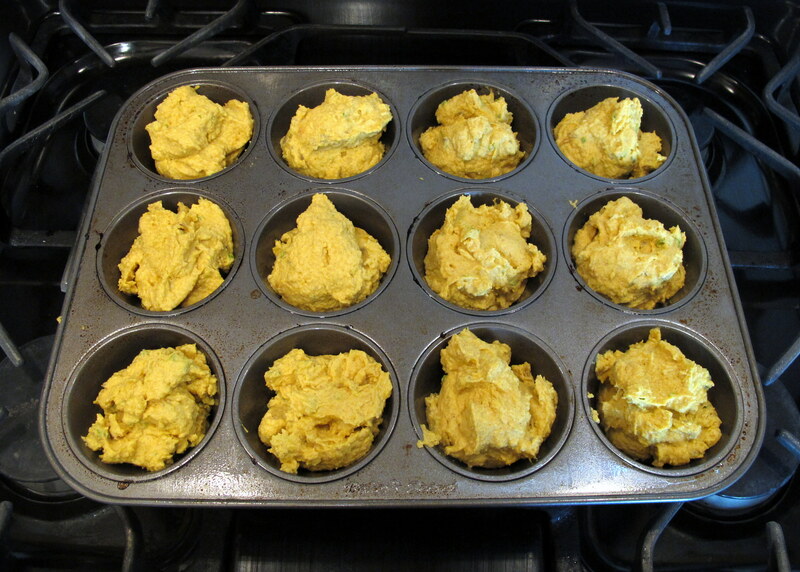 Blend the eggs, butter and pumpkin puree until smooth. Add in the dry ingredients and stir to combine before adding in the minced chives and/or any other flavour variation you’d like. Divide the mixture between a 12 hole muffin tray and bake at 180 C for 18 to 20 minutes, or until a centre muffin tests clean with a skewer. 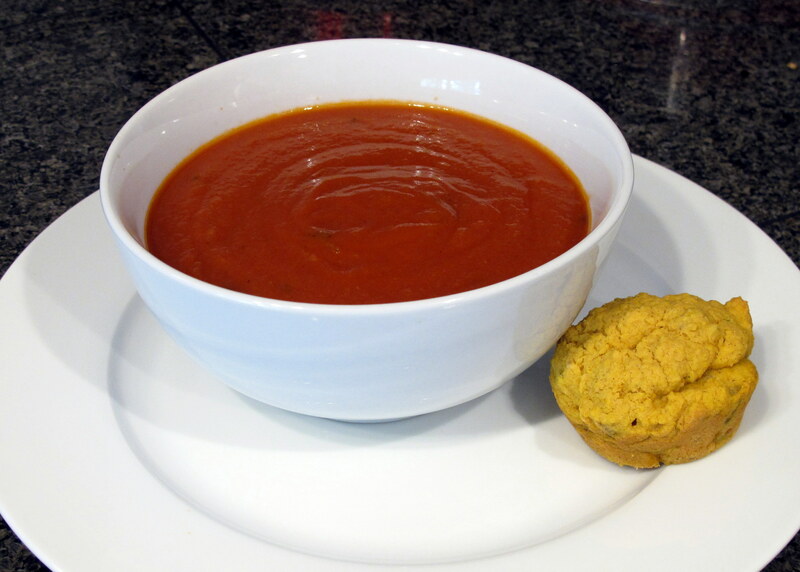 Enjoy with a bowl of hot soup, or take as a snack to keep you going throughout your work/school day. This entry was posted in Breakfast, Vegetarian or Vegan Entrees or Sides and tagged America, Australia, dinner, entree, FODMAP, FODMAPS, food intolerance, fructose friendly, fructose malabsorption, gluten free, healthy, home-cooked, homemade, low sugar, nuts, road trip, Seattle, travel, USA, vegetarian. Bookmark the permalink.